For age 16+. 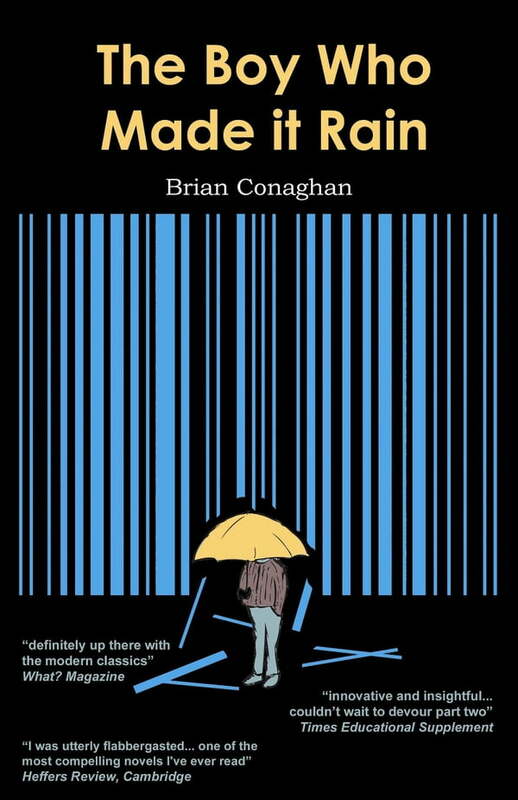 "innovative and insightful... couldn’t wait to devour part two" - Times Educational Supplement "I was utterly flabbergasted... one of the most compelling novels I've ever read" - Heffers Review, Cambridge "Brilliant writing, brilliant structure, brilliant book" - Des Dillon, author of Me and Ma Gal "definitely up there with the modern classics" - What? Magazine" A Must-Read for Teens and Adults: The Boy Who Made It Rain is an innovative novel that will keep you glued to the story until you turn the last page and learn the final outcome." - Fran Lewis, New York Reviewer. When a school tragedy happens, you probably lay the blame on society, the Internet, TV or violent films. Not many of you think it could be the parents' or the teachers' fault, do you? But then, is it? We all have our say, spout off opinions in different directions according to our view of the world. In this novel, too, they all have their say, but who's right?At only sixteen Clem's world is turned upside down. His Willy-Loman-like father, a travelling salesman and a loser, is transferred from Eastbourne to Glasgow and along with him go Clem and his meek accommodating mother. But Glasgow is rough and Clem's posh English accent is not well-accepted in the sink school he attends. And he's a brilliant scholar. He soon becomes the target for McEvoy's group of thugs for whom slashing faces is the most important ambition in their depraved lives.